Hospitality veteran Jim Beley brings more than 30 years of luxury hotel and restaurant management to his role as General Manager of The Umstead Hotel and Spa, North Carolina’s premier AAA Five Diamond and Forbes Five Star-rated hotel property. A dynamic leader, Beley directs day-to-day operations at the 150-room hotel and its signature amenities, serving as a valuable asset in elevating the guest experience. His distinctive approach to the hospitality industry is reflected in The Umstead’s “Vision and Values,” which he spearheaded to emphasize respect, personal and professional growth, and happiness in the workplace, ultimately outlining how these qualities translate into superior guest service. In 2011, Beley received the prestigious Lodging Operator of the Year award from the North Carolina Restaurant and Lodging Association, and under Beley’s leadership, The Umstead has been named one of the Best Places to Work by the Triangle Business Journal. Prior to joining The Umstead in January 2009, Beley served 17 years on management teams at AAA Five Diamond-rated luxury hotels, including his most recent role overseeing resort operations as General Manager of The Inn at Palmetto Bluff Resort in Bluffton, S.C. Beley is also the former Director of Lodging Operations and Resort General Manager of The American Club and the Inn on Woodlake, sister properties owned by the Kohler Company in Kohler, Wis. I took a break after two years of college in New York to explore a winter in Florida. I was hired as a dining room server at the Ocean Reef Club in Key Largo. Tell us about The Umstead Hotel. What inspired the idea and what is your vision for the hotel? 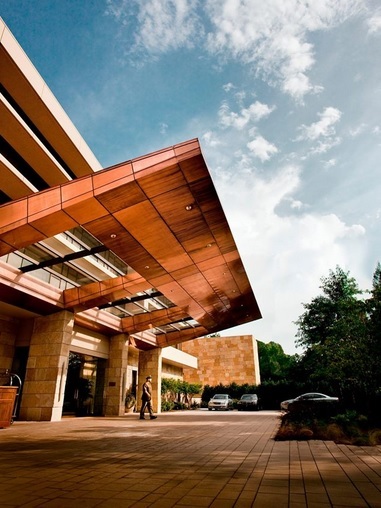 The Umstead is an artistically designed hotel situated on a small lake area in Cary N.C. Our basic vision of the experience is focused on art, nature and wellness. This approach allows us a broad pallet in which to create a unique service experience for our guests. What strategic partnerships/marketing strategies have you implemented that have attributed to The Umstead Hotel's success? By positioning The Umstead Hotel features of Spa and dining, we have created a weekend getaway within the region. Guests find our hotel the perfect place to celebrate an Anniversary or Birthday with elegant comfortable services without having to travel a great distance. This position has made our hotel successful each day of the week which most urban hotels cannot claim. The most noticeable trend is that guests do not want to wait or be delayed in any manner. Customers of luxury want what they requested, done correctly within a short period of time. Guests do not want to wait to check-into their accommodations, wait to acquire dining reservations at their preferred time and desire an overall seamless place of service. My life motto is to be caring, friendly and helpful to others. Be open to go the extra step to serve others in an exceptional way. Your greatest success as GM of The Umstead Hotel? Most difficult moment-how did you overcome and what did you learn? This past February, we had extreme cold in North Carolina causing four separate pipes to burst due to temperatures. Despite the challenges, our service team continued to do whatever possible to service our guest appropriately. We received multiple comments from our guests applauding the team’s professional address during a time of dramatic stress. Advice to young hoteliers is to examine your personal mind-set to serve others. If you are not willing to be flexible, then change your course, or you will struggle to be successful within the hotel industry. Describe the ideal experience at The Umstead Hotel. The ideal experience at the Umstead is to stay several days to deeply relax, utilize a number of our offerings for Spa, dining and take a long walk in Umstead State Park to soak in nature of the Piedmont. How important are architecture/design to the success of The Umstead Hotel? As stated prior, our hotel is creatively designed by its architecture, the placement of original art works and the impact of both natural lighting and light features focused on the art. Hospitality staff members need to be motivated and challenged to have a “heart in service” to provide service in an exceptional way. We have a hotel Vision which states who we aspire to be and our Value system which supports the achievement of the Vision. Our Vision states that our guest’s enjoyment is a top priority, secondly we need to work with respect of one another, and lastly the business gives back to the community by our volunteer efforts. “All the Light We Cannot See” by Anthony Doerr, A World War II Novel. I think role models can change as you progress through life. My leadership role model has been Winston Churchill, who experienced great triumphs and severe defeats, yet maintained perseverance in life for his country. My personal role model is my wife Ellen for her overall good nature, love of family and her spirituality which has impacted our family greatly. A current passion of mine is to read some of the classic novels, which either I did not read in school or have forgotten the story. I truly enjoy reading Mark Twain, Harper Lee, and Leon Uris. I have always enjoyed traveling to all the European countries, but have endeared France the most. Such a beautiful landscape with wonderful food, wine, and history. I will be travelling to Alaska in September, so that might become a new favorite. What's next for The Umstead? What will be new at The Umstead is a project to be completed this summer, where all our conference Audio Visual capabilities will be upgraded to 4K resolution. I think this will distinguish us from other conference facilities or hotels in the area. Our public room space is very attractive, but to further improve its performance functionality will be of future benefit to the hotel and its guests.